While it’s common knowledge that many everyday products contain hormone disruptors and chemicals associated with asthma and other health issues, a new study from the Silent Spring Institute shows that avoiding such chemicals may be difficult because products are often labeled incorrectly. This new study tested 50 types of everyday household products for 66 hormone disruptors and chemicals associated with asthma such as parabens, BPA, UV filters, phthalates, chemical fragrances and more. The secondary goal of this research was to see if consumers can identify products with fewer chemicals of concern simply by reading product labels. Researchers tested both “conventional” and “alternative” products. The “alternative” products met a set of criteria including the fact that the label indicated primarily plant-based ingredients and the label did not list the study’s target chemicals and/or the label indicated the product was free of the target chemicals (e.g., “fragrance-free”). The results: Researchers found that all of the conventional products and 32 of the alternative products contained harmful chemicals. Worse, the researchers note that it may be impossible for consumers to avoid all chemicals of concern, including antimicrobials and some fragrances, by reading labels, because often harmful chemicals found weren’t listed on the product label at all. Read on to see which products fared the worst in this study. Researchers tested 50 product types, including personal care products such as lotion, toothpaste and sunscreen; cleaning products such as laundry detergent and all-purpose cleaner; and other household items such as shower curtains, pillow protectors and cat litter. They found the following key facts. DEHP (in vinyl), fragrance, DEA, glycol ethers, and UV filters were the chemicals found in the highest concentrations. Sunscreens, air fresheners, dryer sheets and perfume had the largest number of harmful chemicals. Product labels did not identify all of the products that contained phthalates, MEA and DEA, alkylphenols, parabens, glycol ethers, or fragrance. 14 alternative and 12 conventional product types contained a fragrance not found on the label. The alternative sunscreen with the highest number of target chemicals was a product marketed for babies and children and favorably rated by a popular environmental website. Vinyl products tested had substantial concentrations of the phthalate DEHP. High concentration of phthalates which increase respiratory symptoms were found in pillow protectors that were clearly marked as useful in reducing exposure to dust mites that trigger asthma. 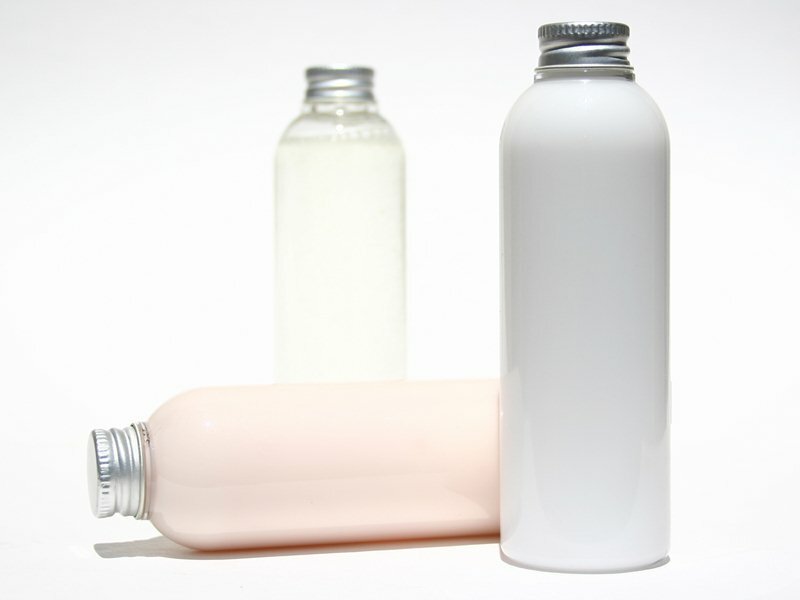 Some popular alternative products that didn’t contain the phthalates contained other less well-known endocrine disruptors, which means companies have caught on to the fact that phthalates worry consumers and so they’ve removed them and replaced them with chemicals consumers aren’t as familer with, but that are still just as dangerous. Image by barrysmith via sxc. Sadly, researchers on this study decided to combine conventional products into composite samples for testing in order to give a broad picture of exposures from U.S. products. While this move does provide a broader look at the problem and save on research costs, it also means chemical exposure can’t be linked to individual products. That means, for example, we don’t know which popular alternative sunscreen contained high amounts of chemicals. If you’re curious, you can see a full list of products tested (pdf) though. 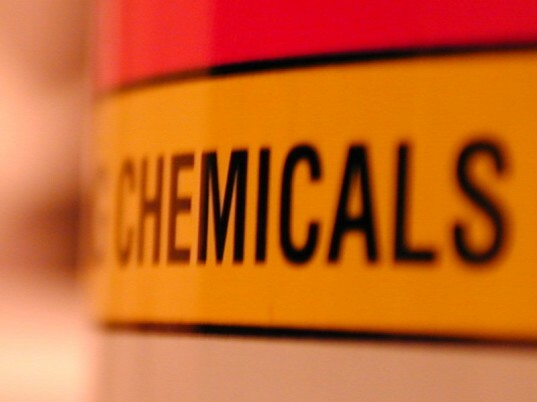 Obviously, while the research can’t tell you the names of specific chemical-laden products, this research does show that the presence of chemicals in everyday products continues to be a widespread issue, in spite of research showing that such chemicals are dangerous. This research also shows us that consumers are at a huge disadvantage because we’re forced to rely on label information provided by manufacturers, and as this study shows, you can’t always trust manufacturers. Silent Spring researchers note that despite limited product labeling, you can take steps to reduce your family’s exposure to chemicals by using fewer products and using caution with products applied directly to the skin. You should also avoid vinyl products, products containing fragrances and anti-bacterials (triclosan and triclocarban). Lastly, the researchers recommend using safe cleaners such as soap and water or you can make non-toxic homemade cleaners. Lead image by thesaint via sxc. While it's common knowledge that many everyday products contain hormone disruptors and chemicals associated with asthma and other health issues, a new study from the Silent Spring Institute shows that avoiding such chemicals may be difficult because products are often labeled incorrectly. 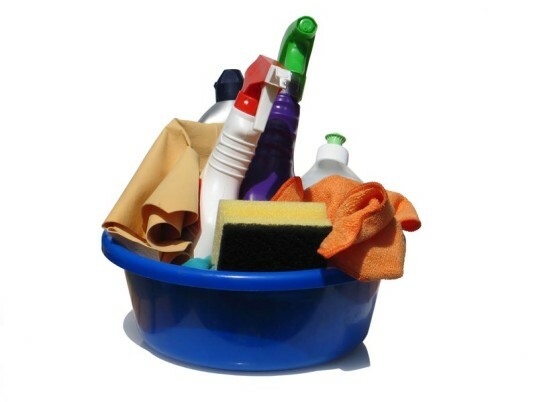 This new study tested 50 types of everyday household products for 66 hormone disruptors and chemicals associated with asthma such as parabens, BPA, UV filters, phthalates, chemical fragrances and more. The secondary goal of this research was to see if consumers can identify products with fewer chemicals of concern simply by reading product labels. Researchers tested both �conventional� and �alternative� products. The �alternative� products met a set of criteria including the fact that the label indicated primarily plant-based ingredients and the label did not list the study�s target chemicals and/or the label indicated the product was free of the target chemicals (e.g., �fragrance-free�). The results: Researchers found that all of the conventional products and 32 of the alternative products contained harmful chemicals. Worse, the researchers note that it may be impossible for consumers to avoid all chemicals of concern, including antimicrobials and some fragrances, by reading labels, because often harmful chemicals found weren't listed on the product label at all. Read on to see which products fared the worst in this study.